"For a long time now, I've wanted to do an ongoing Cosplay Goes Pop series, where myself and my friends cosplay some of the most iconic pop stars of ours, and previous, generations. Since the onset I've been in constant collaboration with Geek Girl Northern Belle, who has become a co-organizer and creator of this project with me. 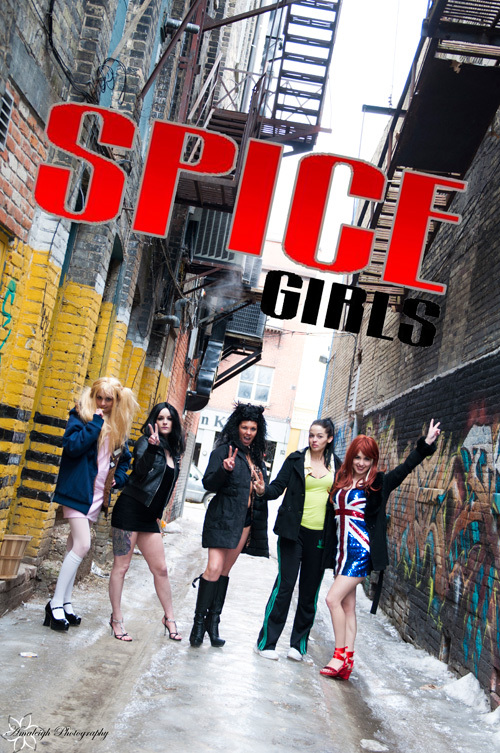 The first series we shot couldn't have been done without Northern Belle: not only did she locate the AMAZING photographer Geek Girl Amaleigh to shoot this set, she helped me cast the other spicy ladies we'd need since we figured the best place to start was where the love of pop music began for most girls of our generation- The Spice Girls. So, without further ado, we present you with our Girl Power! in a loving homage to the Spice Girls. While it was nearly -10 degrees outside while we shot this, it was a total blast. I hope you have as much nostalgic fun checking out this shoot as we had making it!"